Byron Bay Railroad Company is a not for profit company limited by guarantee. We are also an accredited heritage rail operator. As a not-for-profit company, all revenue must be re-invested in the organisation’s rail assets. Dividends cannot be disbursed to any individual or company. We hold a non-exclusive licence from Transport for NSW to use the rail corridor and rail infrastructure and are required to maintain both these state-owned assets at our own cost. The rail corridor and rail infrastructure including any improvements made by us remain the property of Transport for NSW. We are truly proud to deliver the world’s first solar train. And we are forever grateful to all those who have shared their wisdom and shown their support to help make this happen. The rail corridor is typically 40 metres wide throughout. There is ample room to provide a Rail Trail and cycle path within the rail corridor and clear of the operating rail line. BBRC has a non-exclusive licence to use the rail corridor and operate trains. Transport for NSW can licence other parties including a Rail Trail or other rail operators to also use the rail corridor. The refurbishment of the Belongil Creek rail bridge has accommodated the option to simply attach a pedestrian or cycleway gantry to the existing structure in the future. BBRC has worked with and will continue to work with the Northern Rivers Rail Trail organisation in accommodating their objective of delivering a cycle way within the same corridor. To further reduce cars on Ewingsdale Road BBRC supports Byron Shire Council’s intent to establish a dedicated park and ride facility west of Bayshore Drive (toward the highway) or on any number of other appropriate sites along the rail corridor. 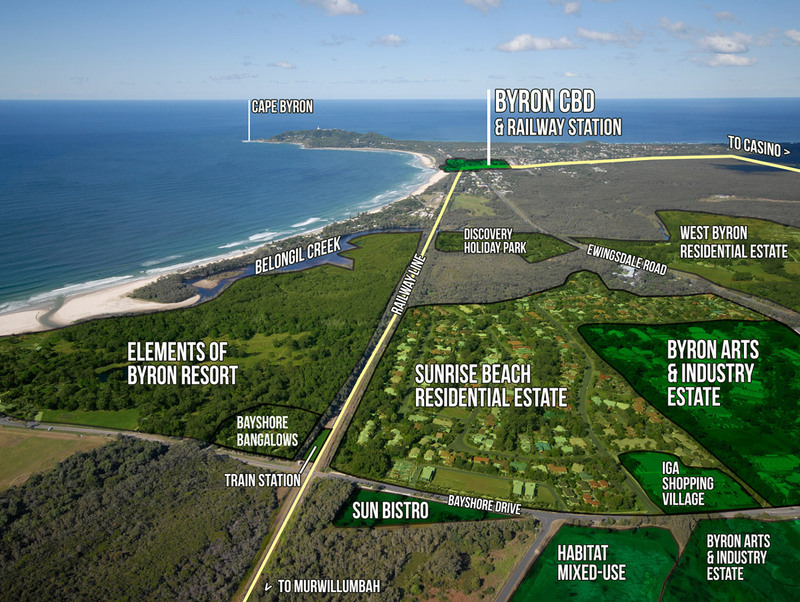 Such a facility could provide enormous social, economic and environmental benefits to the Byron Shire. From the outset Byron Bay Railroad Company has supported an extended train service along this branch line and is hopeful that this project will be a catalyst for possible future service extensions. BBRC’s focus, however, is to make this 3km section of line operational and cost neutral.